The Deep Stabilization System vs. When most people think of the core muscles, they only think about the abdominal muscles and lower back muscles, but the core includes more than just the abdominals and lower back. Anatomically and functionally the muscles of the core can be divided into 2 sections-- the deep stabilization system and the superficial movement system. Core Training as a philosophy places a lot of emphasis on working the deep muscles of the core. We know from movement research that the deep muscles contract first before any movement is initiated. In physical therapy, we sometimes use the phrase, "Proximal stability before distal mobility"-- that's just a nerdy way of saying that the body is wired to be stable first before it moves. The deep muscles are close to the spine and pelvis and they can help to move the body, but their primary role is to stabilize the pelvis and lower back. The deep core muscles that make the stabilization system are the: transversus abdominus, lumbar multifidus, pelvic floor muscles, diaphragm, internal oblique and tranversopnialis group. The transversus abdominus is one of the most important core muscles. It wraps around from the lower back and the top of the pelvis and attaches to the pubic bone and fascia in the front of the abdominals. It compresses the abdominal contents, thus adding stability to the lower back and pelvis. It can be strengthened with the drawing-in maneuver. The lumbar multifidus runs on an angle from the sides of the vertebrae to the tips of the vertebrae. Because it runs on an angle it helps with rotational stability. Research shows that people with chronic lower back pain have significant atrophy (wasting away) of the multifidus. The pelvic floor muscles run from the sacrum and pelvis to the pubic bone, and they work to stabilize the bottom of the abdominal cavity. The pelvis floor works with the transversus abdominus and multifidus to stabilize the pelvis. Kegel exercises are a great way to strengthen the pelvic floor muscles. The diaphragm is the main respiratory muscle. But since it attaches to the ribs and spine it can help to stabilize the spine. The diaphragm also forms the roof of the abdominal cavity, so it stabilizes the top of the abdominal cavity. The internal oblique is the deeper of the 2 oblique muscles. It runs on an angle from the pelvis up to the ribs. It's primary role is in stabilizing the core, but it also helps to move the spine. The transversospinalis muscles run from the transverse processes (sides of the vertebrae) to the spinous processes (tips of the vertebrae). The multifidus is part of this group. The 2 additional muscles in this group are the semispinalis and rotatores. These muscles all help with segmental stability of the spine because they span just a few vertebrae. These muscles are also important for rotational stability. All of the deep core muscles are important. When you perform exercises that require your spine to be stable, you challenge these core muscles. The plank exercise, bridges, alternate arm and leg raises, and the drawing in maneuver are examples of exercises that can increase core stability. Equipment such as the Reebok core board, the bosu ball, or an exercise ball can also increase how much the deep core muscles work during exercises. Anything that requires your muscles to work harder to keep your spine stable will increase the muscle work in the deep stabilization system of the core. Core training focuses on pelvic stability. When the pelvis moves, the hips move, and when the pelvis moves, the lower back moves. If the pelvis is stable, the lower back and hip are stable, so any muscle that attaches to the pelvis is part of the core. There are a ton of muscles in the superficial movement system. The muscles are the: latissimus dorsi (lats), erector spinae, iliopsoas (hip flexors), hamstrings, hip adductors (inner thigh), hip abductors (gluteus minimus and medius), gluteus maximus, rectus abdominus (6 pack), and the external oblique. The latissimus dorsi (lats), which helps you do pull ups, is most often thought of as a back and shoulder muscle, but it also attaches to the pelvis, lumbar vertebrae, thoracic vertebrae, and ribs. The lats can help to tilt the pelvis forwards or to the side, and when it is tight and inflexible it can negatively affect lower back posture. The adductors are the muscles of the inner thigh. Most people don't think of the inner thigh muscles as core muscles, but all of the adductor muscles attach to the pubic bone which is the front part of the pelvis. Because they attach to the pubic bone they can help to stabilize the pelvis, especially when standing on 1 leg. Just like the hip adductors the hip abductors (gluteus medius and minimus) also attach to the pelvis. The gluteus medius and minimus are very important for hip stability, and they are especially important for stabilizing the hip and pelvis when standing on one leg. This is one of the reasons I say that balance exercises are so important in core training. The gluteus maximus is the largest muscle in the body and it attaches to the back of the pelvis. It works with the hamstrings to move the pelvis and also helps to stabilize the pelvis. Bridges can be considered a core exercise because it works the glutes while keeping the spine stable. It may surprise people that I left the 2 most visible abdominal muscles for last, but it is not to diminish their importance. The external obliques attach to the ribs and pelvis but they are located superficially compared to the internal obliques. The external obliques are designed slightly more for moving the spine than stabilizing, but the external obliques do also help to stabilize the pelvis and lower back. The rectus abdominus (6 pack) is probably the most popular core muscle. It runs down the front of the spine, and it is the main muscle for flexing and bending the. It is the main muscle for core exercises such as crunches and sit ups. Every core muscle is important, and every muscle can both stabilize the body and move the body. Some muscles are designed and located more for stabilization, and some muscles are designed to have a primary role in movement. A good core training program will focus on both the deep stabilization system as well as the superficial movement system. 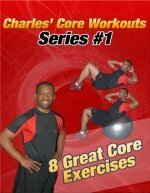 To learn more about training the core muscles for stabilization and movement read my articles on core stability and core strength.